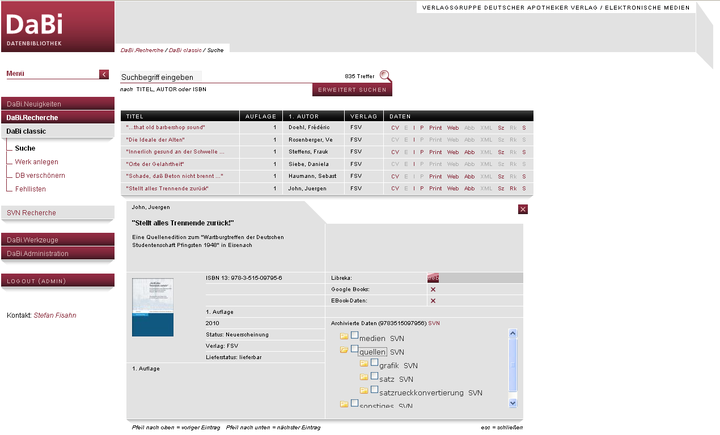 Deutsche Apotheker Verlag spent a long time looking for a suitable content management system. Stefan Fisahn from the Electronic Media department says: “The systems available on the market painted a strange picture from the outset, as they did both too much and too little at the same time. In other words, they weren’t suitable.” So he decided to design the ideal solution himself. The system, which he named <DABI /> (DatenBibliothek), needed to be modular, able to grow and mature over time, and use existing standard components e.g. an XML database or version control as far as possible.